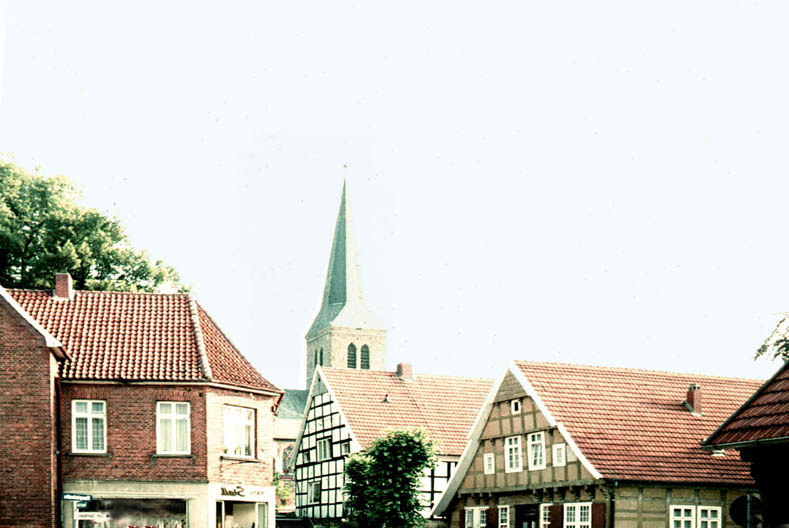 Our Köster ancestors were born in Dalvers, a small village near Berge, in Niedersachsen (Lower Saxony), about 30 miles northwest of Osnabrük. 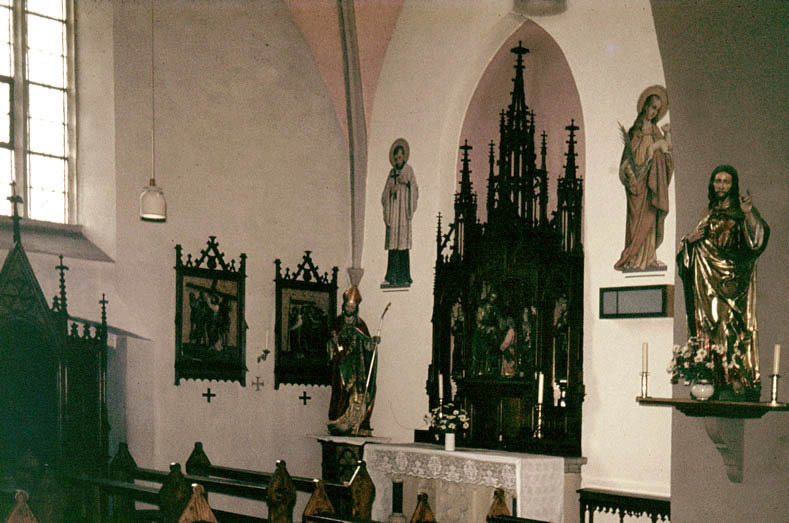 Interior of the Catholic church in Berge where our Köster ancestors worshiped. Dalvers dates from the 12th century and has hills running along the eastern edge of the village. 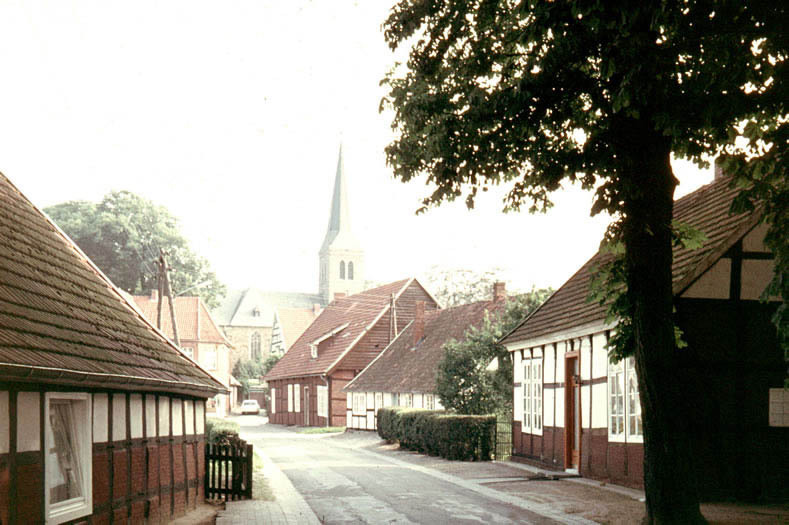 Thus its name is derived from the old German word "Dalwede" which meant "in the yards." 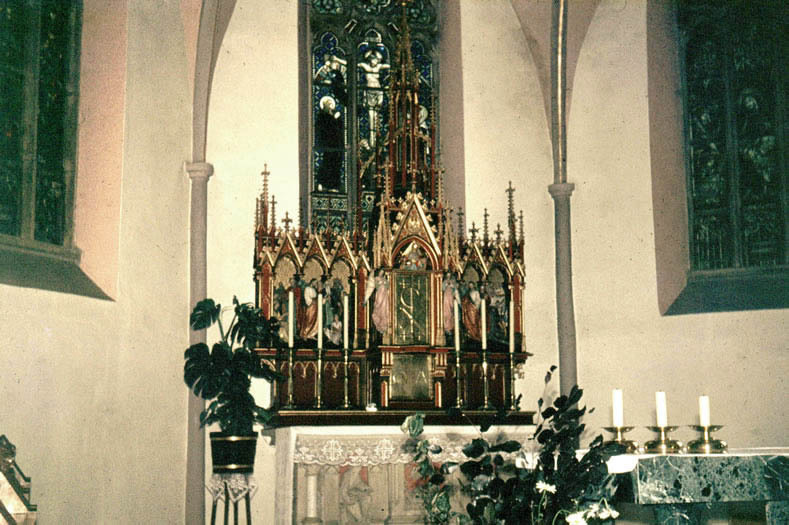 This is the place in the church where our ancestors were baptized. 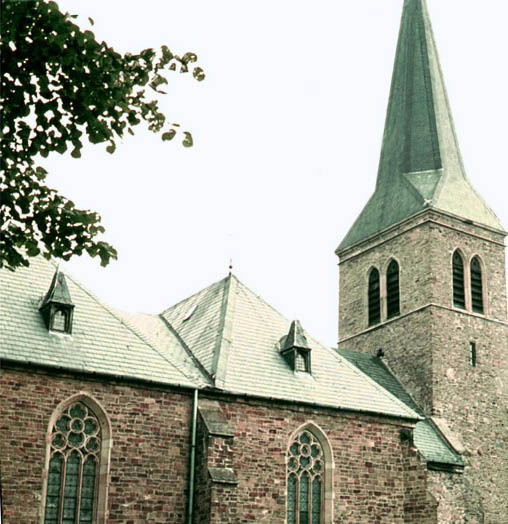 Dalvers is a very small community that does not have its own Catholic church.This is the Catholic Church in the nearby town of Berge, where our Köster ancestors were baptized. 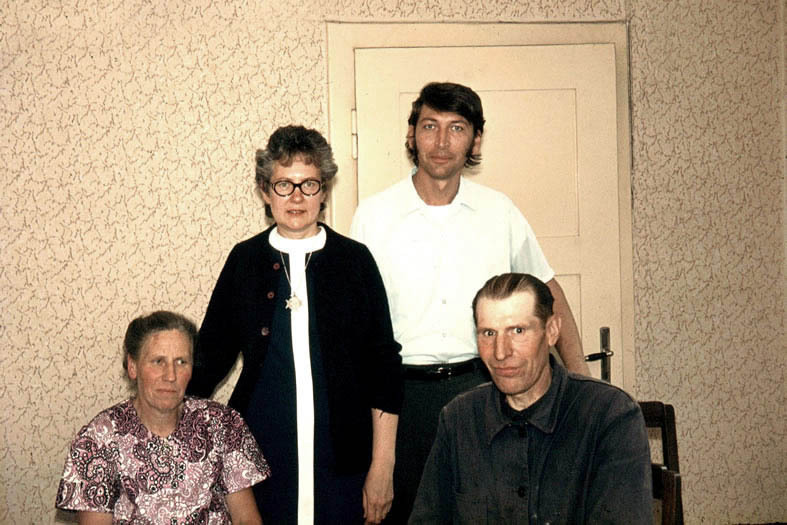 In 1972, Sr. Pauline Wittry and David Nieland (standing) visited Lena and Franz Köster, who are first cousins. Another v iew of the Catholic Church in Berge. Dalvers is about 1.8 kilometers northeast of Berge. 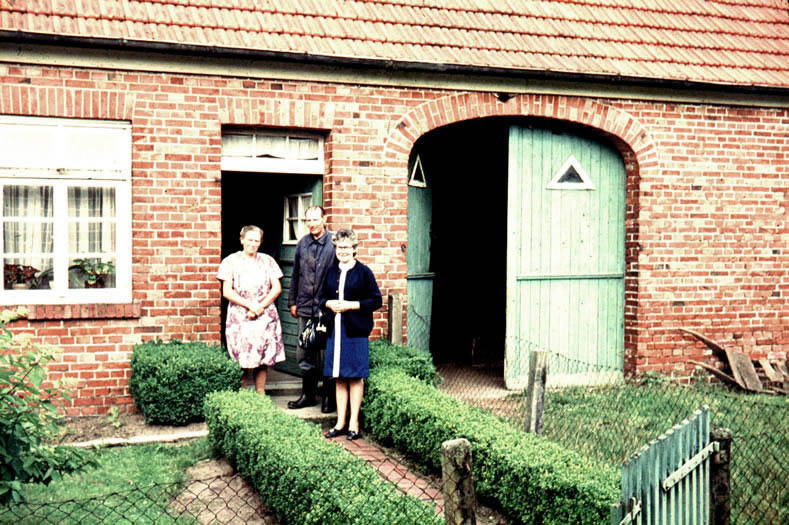 Lena and Franz Köster with Sr. Pauline Wittry in front of their house in Dalvers. This is the house where Anna Köster worked just before she emigratied from Germany. 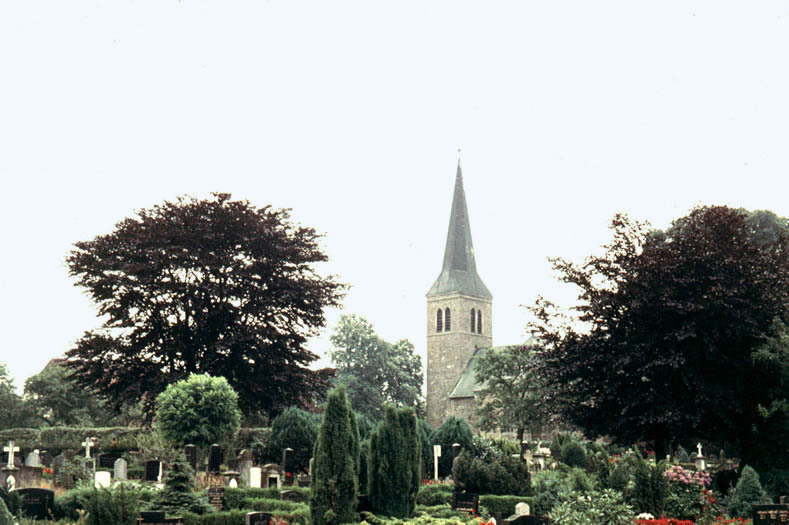 The cemetery in Berge is now a Protestant cemetery. 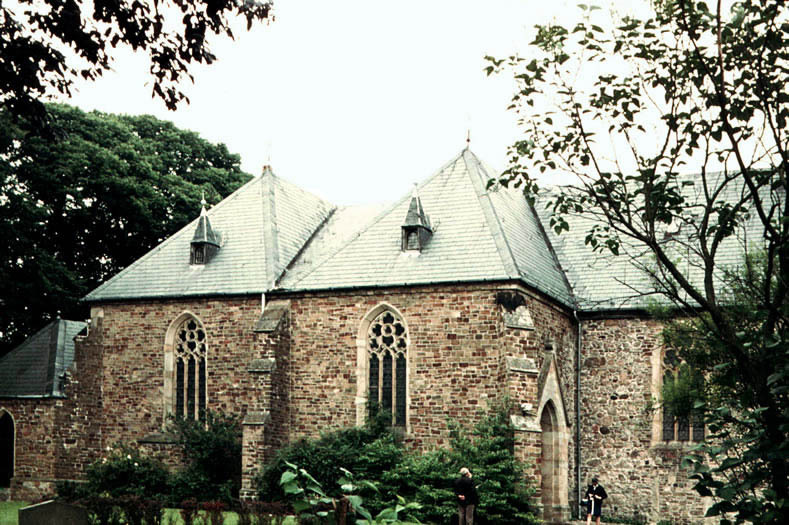 The Catholic Church can be seen in the background. 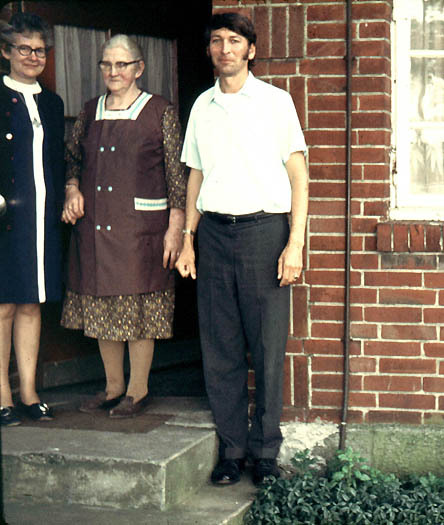 Sophia Köster Lassey (center) with Sr. Pauline Wittry and David Nieland in front of her house in Dalvers bei Berge about 1970.